Made from 100% Durum Semolina. 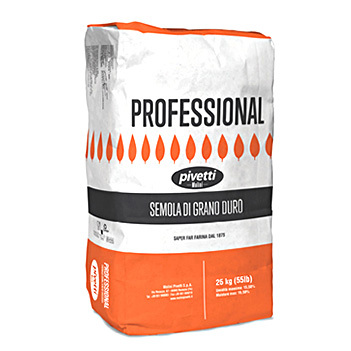 Pivetti Professional Durum wheat semolina is ideal for making pasta, noodles, lasagna, Roman gnocchi and cannoli. Balanced protein level with brillant yellow color.